Our mission is to design the Triangle beautiful, one house at a time. 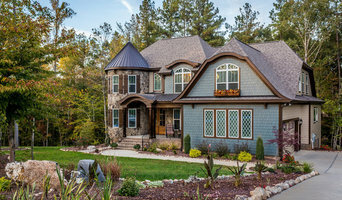 McMillan Design is an award-winning residential design firm creating custom home plans and renovations for builders, realtors, and individuals throughout North Carolina. Thanks to owner Michael McMillan’s 20+ years of residential and structural design experience, our highly sought after home designs are Parade of Homes winners year after year. Above all, we strive to make the home design process simplistic and enjoyable for our clients in order to help turn their idea of a house into a unique, functional home. We believe in innovation, beautiful and boundary-pushing design, comfort, and affordability. 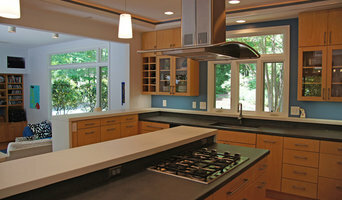 McMillan Design has had the honor of serving the Triangle area of North Carolina (and beyond) since 2004. Let us work with you to design the house you want and the home you need! We offer quality design work and superior customer service! You can rest easy knowing that we do not put out cookie cutter plans, but custom tailor each design strategy for each client's needs. Founded in 1999, Ellen Cassilly Architect is an architectural design firm specializing in intelligent design that fosters vibrant urban communities. Our design work includes renovation, new construction, adaptive reuse (upfitting older buildings for new uses), and urban infill (new building design that compliments surrounding architecture). We believe that smart urban design should focus on individual buildings and spaces and the impact each has on the surrounding community. We design to inspire connections between people, community and the environment. We place a high priority on creating walk-able urban neighborhoods that minimize sprawl, preserve natural open spaces and attract lifelong residents while simultaneously protecting the environment. Whenever possible, we use recycled or low embodied energy materials and reuse buildings with existing connections to the urban infrastructure. Abundant natural light, sight lines through rooms and views outside are hallmarks of our designs. Good site planning allows us to create buildings that are climatically comfortable as well as energy efficient. Our goal is to help our clients transform their creative vision into homes, buildings and landscapes they love to live in. We welcome your ideas and input throughout the design process. How do I find the best Rolesville architect for my home design project? It is best to hire a home architect who will be involved in all phases of the design process, from the initial concept to the completed construction. The architect is often the first person you will hire for your project. If necessary, they might also help you select and hire North Carolina subcontractors, which can include the builders, engineers and landscaper. Interior architects are also involved in negotiating contracts for all involved participants. It is for these reasons that it is extremely important for you to have a good relationship with the Rolesville residential architect you hire. He or she can be the tie-breaking vote between you and the general contractor and can be your biggest advocate during the construction process. Different architecture firms in Rolesville, NC provide different services, so the scope of the work can span from pre-design environmental impact studies to selecting furniture and finishes, depending on what your specific needs are. It is very important to hire the right professional for the job. Remember that the most well-known or established designer might not provide the best architectural services for your needs. It all comes down to the individual project. Research and ask people whose work you like for recommendations. It's important to have somewhat of an idea of the style of house architecture that you prefer, as well as the amount you would like to spend. Residential architects in Rolesville, NC are natural problem solvers. They will assess the entire situation and help you to solve your problems too. Don't settle for a single company too early. Call and interview a few. Make sure that you feel like your personalities will mesh well and that you like their professional perspective. Find a home architect in Rolesville, NC on Houzz. Narrow your search in the Professionals section of the website to Rolesville architects. You may also look through photos of North Carolina projects to find interior architects and building designers who have worked on a project similar to yours.